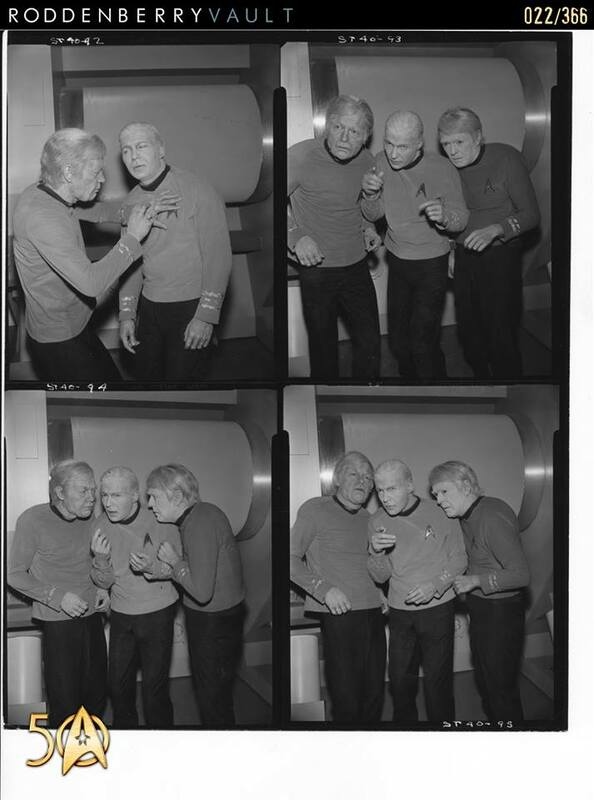 In the fourth week's worth of posts we've been treated to a wide range of behind the scenes photos, mainly of the cast, each day from a different episode. Continue below for details of all the posts from the last full week of January. 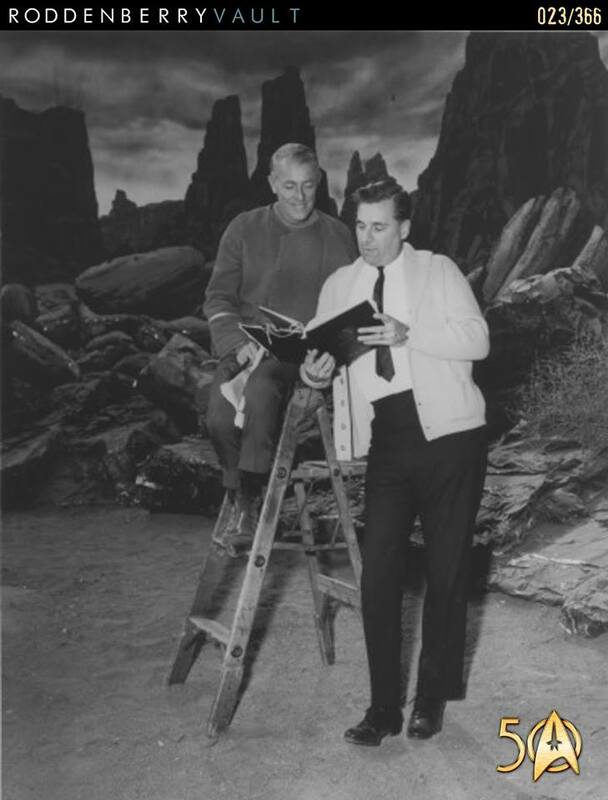 Day twenty-three returned to the set of The Cage, this time with Gene Roddenberry chating with John Hoyt, aka Doctor Boyce, up a ladder on the Talos IV set. Day twenty-four is one of the slide images, this time Doctor McCoy with sword and shield in hand, from Bread and Circuses. Day twenty-five is my favourite of the week, several shots of T’Pring, played by Arlene Martel in Amok Time. Day twenty-six was another slide, this time the landing party sneaking up on Vaal in The Apple. 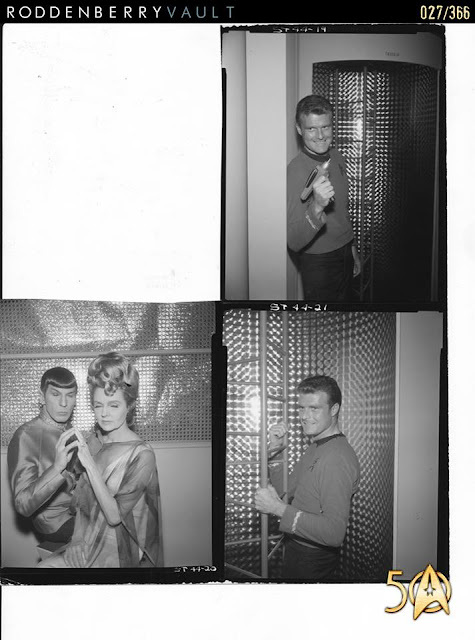 While day twenty-seven followed with anothers assortment of images, this time from Journey to Babel, including Leonard Nimoy and Jane Wyatt, aka Spock and Amanda, as well as Eddie Paskey, aka Mr Leslie. The last post of the week was another slide image, this one from Catspaw.